They had tricked her, and shown her a side of her brother she had never wanted to admit to herself. They will all feel her wrath. 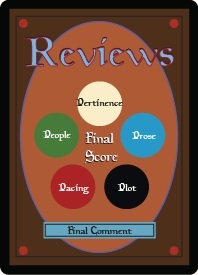 The Keldon just happens to be the only one left standing in her way. She kind of wishes she could have the same unrelenting bloodlust that is free of guilt that the elf has, but any respect she may have for her won't keep her from using the elf for her own needs. Radha taunts Jeska like she's done before, but Jeska isn't going to allow her opponent to dictate the terms of this engagement. This isn't a fight, this isn't a duel. 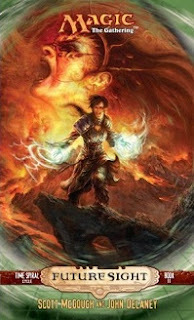 She is a planeswalker and Radha has no choice in what happens to her. Jeska simply binds the elf's limbs to her side and the battle that is not a battle is over. Jeska demands to know if the elf was part of the mind games and torture she just went through but all Radha says is that the mulchman was trying to calm her down and she blew him up. But she has another chance to face him if she wants. A branch swings and hits Jeska in the face and she falls into a hollow tree trunk that encases her. She feels her hold on Radha dissipate. 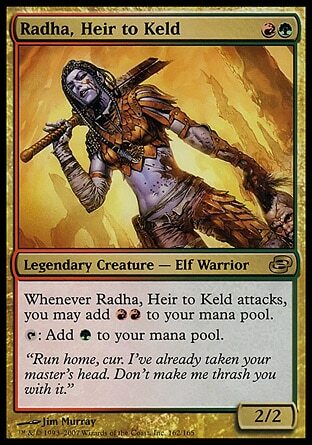 Radha taunts the planeswalker. She was foolish to believe she killed the embodiment of nature by blowing up a physical body. Radha then takes the wooden face of the avatar and picks up Jhoira and Venser and tells them that Multani wants the two of them away from here in case this doesn't end well. His wish is for someone to carry on if things go wrong. 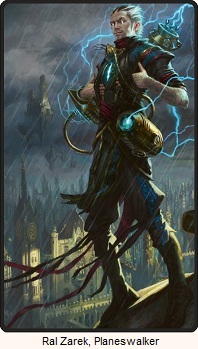 Multani tries once more to calm the planeswalker down, tries to tell her that the images she saw weren't his doing, that they were tampered with. But she doesn't listen and doesn't care. He will pay for what happened to her. She teleports out of the tree trunk, and to ease his mind, teleports the humans back to the beach where they arrived. She doesn't want to fight him necessarily. She is here for the rift, and if he falls in the process of her saving the world, then so be it. She flies towards the rift with Radha in hand as well as the Multani mask. 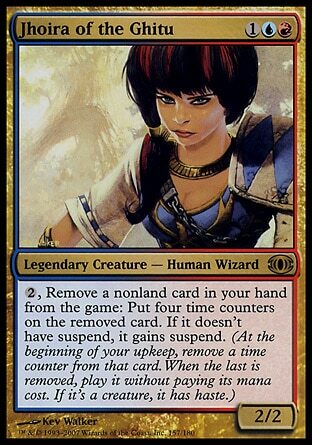 With a better understanding of Yavimaya, she can sense the life energy within the rift that is part of Multani, but this has to be done. She once again uses Radha has a filter for her power, and once again she merges with the Keldon. This time she catches glimpses Radha and her warhost attacking a frost giant and then keeping its heart as a prize and power source for a blind boy. The next vision is her own. Of a time when she was the embodiment of magic and facing off against her brother. Then Jeska overpowers the rift and it is gone. Green mana bursts from Radha and catches Jeska off guard. She's knocked out of the sky but manages to keep hold of both Radha and the Multani mask. She is winded, and when she gets up she finds Radha still alive, but as for Multani there is no sense of life coming from the wooden face. It is just a mask. He is gone, but so is the rift. She'd taken Teferi's technique and perfected it. Her filter is still alive and there is still work to be done. Jhoira feels a wave of power pass through them and asks Venser to take her back. With the rift gone she knows Jeska will have moved on already but she needs to see what happened for herself. Tears welled up, and Jhoira stifled a small sob. 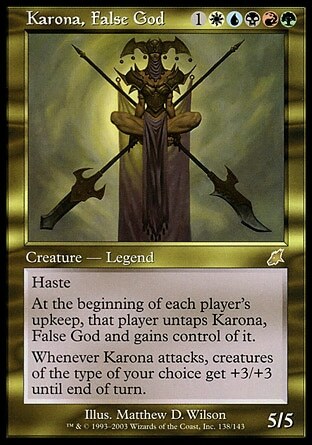 Of all the transcendent begins she had encountered, only Karn could compare to Multani's selfless nobility, and now both had fallen to the rifts. 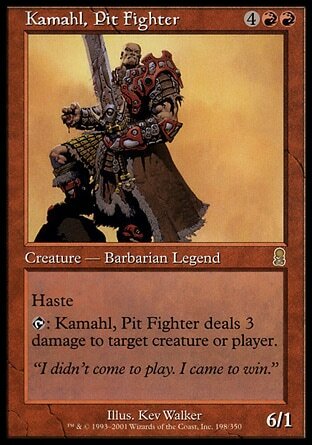 There was no sign of the hero who changed the course of Urza's lifelong obsession, trained Dominaria's heroes in maro-sorcery, and beaten back Phyrexian armies on two continents. Nature's champion, the world's most dedicated disciple of life and abundant growth, was no more. She buries the mask, and if there's any bit of Multani left there may be a chance. It may takes centuries, but maybe some day he will return. Until then he deserves to rest in Yavimaya's arms. 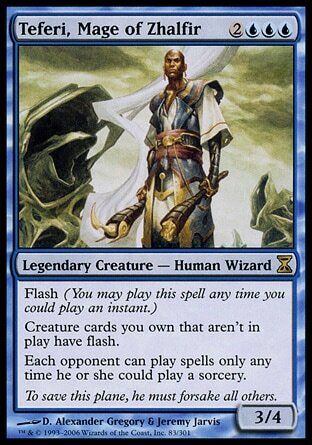 They return to the beach and Teferi . The double fail of Zhalfir and now Yavimaya have hit him hard but they have to go on. Jhoira knows he needs to see this through and she pulls him out of the hole he's sunk into. Jeska will take on Otaria last, so Madara is next. 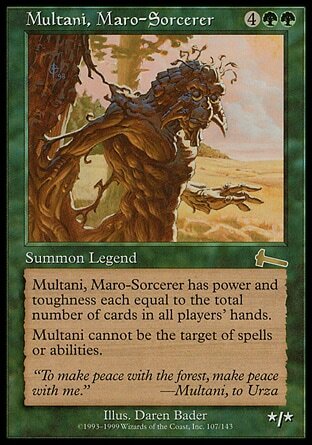 Multani is my favorite character from the Weatherlight Saga. It was sad to see him go. Another rift gone, and Leshrac wasn't pulled out in the open. I assume Nicol Bolas will still appear at Madara. I'm not positive, but I'm sticking to it. There has to be a reason he was mentioned in the beginning of this book, more than just a reason that Night approached Leshrac.